The Library uses two accounts that you may need to use to login for different purposes: My Account and your Borrower ID account. My account on our Library website allows you to create your own booklists, renew items you've checked out, and so on, but it does not give you access to our subscription articles, journals, databases, etc. when you're off campus. 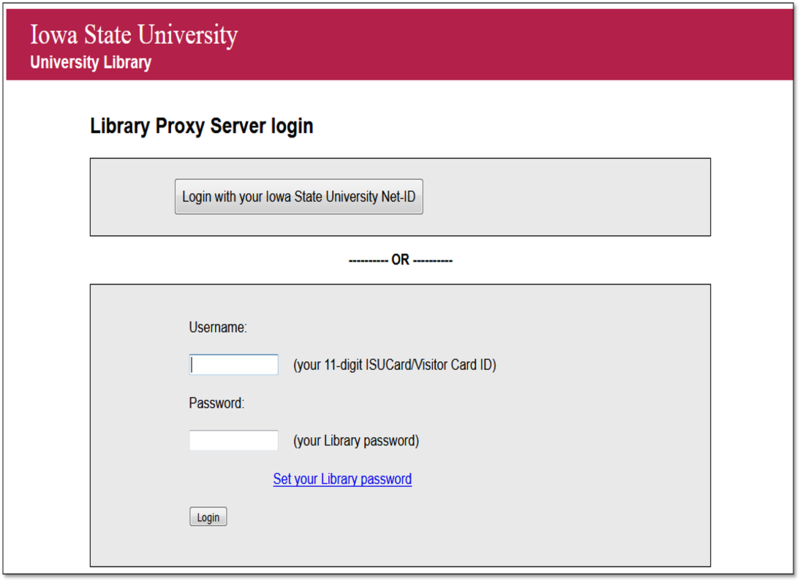 For off-campus access to our articles, journals, and databases, you'll need to login using your ISU Net-ID or your Library Borrower ID (your unique 11-digit ISUCard number) and your Library password. When you are off-campus and you click on one of our subscription databases, journals, full-text articles, or streaming videos, a login box will appear and guide you through these steps. Welcome to the ISU Library! When you enter the Library, immediately to your left is the Research Help desk. Here you can ask all sorts of questions. Whether it be about campus or about the library. We're here to help you! Click here to find your librarian and contact information.